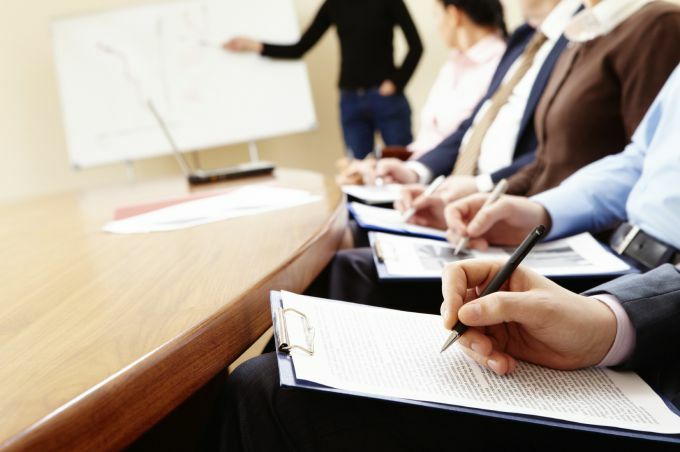 In Universities, there are generally two forms of training is lectures and practical. And if lectures are more or less straightforward, practical divided into laboratory and directly practical, seminar discussions and seminars-workshops. On the latter will be discussed. Whatever the method of their conduct was more clear, consider the example classes in psychology. The main objective of the workshop- the application of theory to practice. In workshops students discuss problematic issues, find solutions to practical situations. The correctness of these solutions to evaluate the teacher and the students-fellow students. - "From theory to practice". Set students the task - give examples from real life to considered the lecture material. For example, if the course on social psychology, you learn about installation, try together to find examples of attitudes and prejudices characteristic of this group. Well, if the opinions were divided – we can discuss the issue from different sides. - "From life to theory - practice analysis from the point of view of the theory. Look before going in the newspaper or on a website with news – for sure you will find the current topic as an example of the manifestation of certain psychological patterns in real life. Or it will offer students – as a rule, they are actively involved and willing to speak on what they care about. Try this example to formulate theoretical propositions and conclusions concerning this phenomenon or situation. Remember that all seminars-workshops – it is the collective work of the student group and the teacher needed in order to guide their activity in the right direction. The holding of the workshop requires the teacher fluency material, unlike of lectures, where you can always rely on the theory. Young teachers it should not scare you, as there is a good opportunity to develop the skills to work with the group and consolidate their learning. Workshopsas a tool for learning and sharing of experience that are in demand in our time in any field of activity and are widely used. They allow to raise qualification, to participate in the discussion and solution of problems, to present their solutions and perform the tasks, i.e. the appearance of the seminars might be different. Seminar involves the transfer of the developed methodological techniques, algorithms and ways of solving a particular problem. A preparatory stage.Clearly specify the topic of the methodological seminar and the goal: for example, familiarity with the proposed techniques, exploring the algorithm for transition to their use, development of methodological skills to apply knowledge in practice. Based on the goals, list the steps you need to take to achieve them. Gather the necessary material, text, visual, make it the way you want, available for perception. Break the blocks, sub-topics, prepare presentations, handouts and stimulus material. Consider which tasks for fixing of the formed skills you will use. Use active forms of learning, involves not just hearing the participants of the seminar, but also a living part. This can be a formulation of problematic issues, case study methods, brainstorming, filling in tables, forms, collective analysis, the game, etc. Clearly list the course of the seminar, i.e. what and in what sequence you offer. Be careful to alternate activity and passivity present at the seminar. Specify what results should be obtained at the end of the workshop, what are the criteria you and the participants understand that the goal is reached. Use all possibilities: questionnaires, polls, reviews, collection of proposed solutions, conclusions, results of collective creativity. Plan the workshop so that you could inform interested people are in the band. Use the options available to alert participants in advance to stipulate the conditions of participation, the terms and conditions of the seminar. Check how long is the seminar, if necessary, to include breaks. Clearly indicate the time of presentations of invited experts, if you invite them, and briefly familiarize them with the course of the workshop. Prepare the room so that all you need was at hand, within reach. Consider the location of the participants. Check the operation of all multimedia resources necessary for the job. Take a deep breath, priorites and with a friendly smile meet are invited!